An annual event started back in 2003, Spike's Video Game Awards are the Grammy's for geeks. Easily the largest in the world, these awards cover 28 categories from Best Graphics to Best Soundtrack and, ultimately, Game of the Year. In case you missed it, here are the nominees and the winners are listed first in each category. The biggest winner this year is undoubtedly Uncharted 2. Have you played it? Do you love it? Personally, they lost me at the first category. They're going to tell me God of War III is more anticipated than Starcraft II? GTFO. For some, the awards are secondary to the world premier trailers for some of 2010's hottest upcoming games. A list of trailers is below. Next year is going to be a great year for gaming. 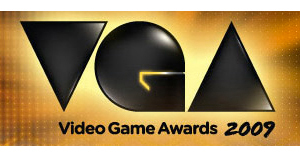 Did you watch the VGAs? Do you agree with the winners? What games coming in 2010 are you most excited about? Share your love for videogames in the comments!